Thanedar, an off-beat travel destination, in one of the many beautiful valleys of Himachal Pradesh, is a traveler’s delight. Covered with a rug of trees, lush green all around, Thanedar is a sensory explosion. Often known as Fruit Bowl of Dev Bhoomi, it makes for a good base to explore the surrounding non-touristy spots. Whether you’re into camping and being one with nature, or you’re looking for a luxurious stay enveloped by the hills- Thanedar has it all to boot. 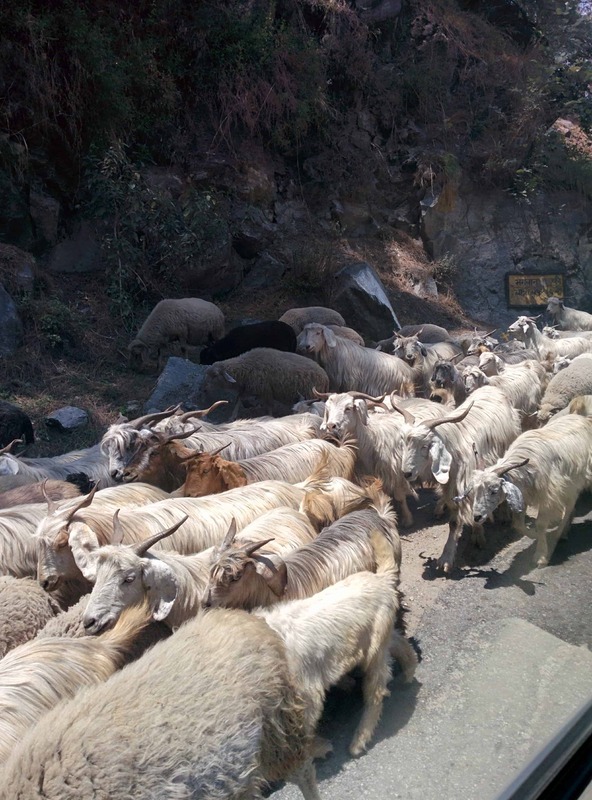 This community in the Sutlej valley beckons the travelers in all seasons and is a quintessentially Himachali Experience. Ever wondered why mankind is so obsessed with Apples? From keeping doctors away, to Adam and Eve having their day, all thanks to an apple – this fruit has held everyone’s fancy. Wildly famous as being home to the first apple plantations of the country, Thanedar is THE reason for the grand Himachali love affair with apples, as we know it. However, plum and apricot plantations have also cropped up, thanks to the abundantly fertile land, suitable climate and hardworking folks. Here, in early 1900’s, a social worker from Philadelphia, Samuel Stokes, moved to Subathu to work at a Leper Colony. 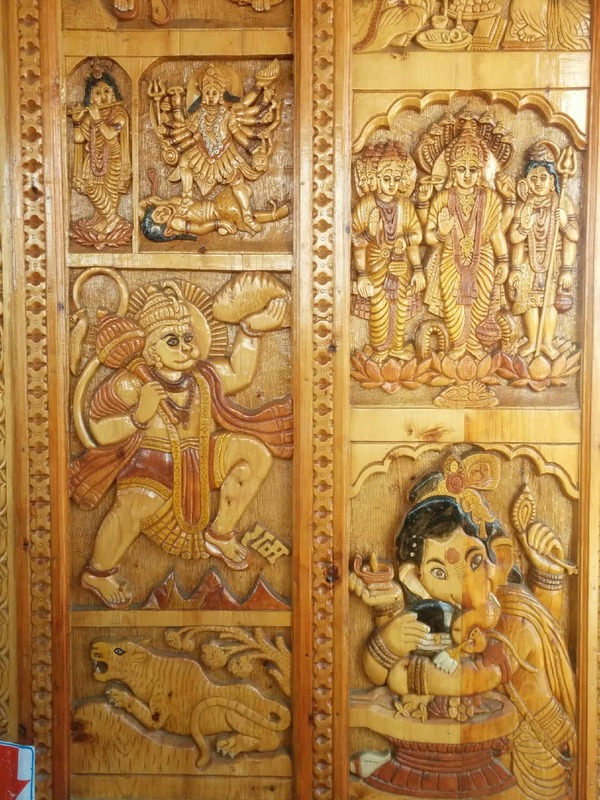 While his parents, highly affluent people, were not supportive of their son leaving behind the family business and moving to India, they understood the fulfillment he received in doing such pious work. They supplied him with enough money to sustain his needs and even help the local community in whatever manner possible. Of course, having grown up as a Christian, Samuel was curious of the simplicity that is illustrious in Indian spirituality. And, eventuallyu, he became a Christian yogi of sorts. When he met his wife, a local Rajput Girl in 1912, Samuel purchased a chunk of farmland near his wife’s village. Obviously, thanks to his considerable fortune – he was able to cultivate the land to his desire. Needless to say, this required a lot of hard work and research. So, when Samuel identified a new strain of apples, ‘Starking Delicious’ that were suitable to the Himachali hills, he began cultivation in 1916. Of course, Samuel’s access to the American pedigree and other foreigners who ran export businesses in Delhi was a helpful factor in the business becoming efficacious. Also, Samuel invigorated the villagers in imitating his accomplishments, and begin estates of their own. Even helping them passionately in every way conceivable. Indeed, he bought more land and devoted it to growing apple cultivars which the villagers would use to seed their own farms. Thus, began the journey of Himachal Pradesh to be the “apple of India’s eye”, all thanks to Thanedar. Stokes did not bring apples to India. Small berry apples had grown in the Himalayan soils for a very long time, especially in Kashmir, Kullu Valley and Mashobra – to name a few places. However, Samuel, who later became a Hindu and changed his name to Satyanand and even participated in the Indian Freedom Movement, did introduce a method to the madness, brought in research and created a mainstream way of trading – all the while searching for some meaning in his life. Thanedar is a farmers’ village. An epically small settlement, you’ll run into ever smiling villagers, happy to walk around with you, if asked, and explain their orchards. During harvest season, you’ll be welcome to take along a basket and pick your own fruits. Thanedar is an off-beat location, with limited tourists visiting. Thus, the people you run into are also in search of peace, much like the protagonist of Thanedar’s story. Thanedar is at a height of 7700 ft. above sea level, slightly higher than Shimla, which is approximately 80 kms away. With a summer maximum of ~25 Degrees and a winter cold of ~-5 degrees, Thanedar is a delight to visit in any season. Each season brings with it a beautiful change in the views. Of course, the winter months show the blanketed mountains in all their goodness. And the summer months (especially the harvest season) will allow you to witness the Sutlej valley chock-full of apples. It is a sight to see, the steps on mountains with heavily laden trees. Apple plucking season is from July-August each year. Roads are well maintained for most part of the year. Some wear and tear is expected post monsoon season and during winter season. The nearest Airport is Shimla, which is approximately 80 kms from Thanedar. However, there are limited flights to this airport. Chandigarh, 198 kms from Thanedar is better connected with the rest of India. The nearest railway station is Shimla. It is connected by a heritage train from Kalka, and takes long hours. 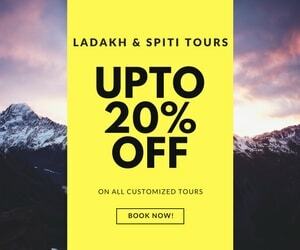 However, the ride is once in a life time journey and an absolute must for another idyllic Himalayan experience that is bound to take you back to the British Raj. 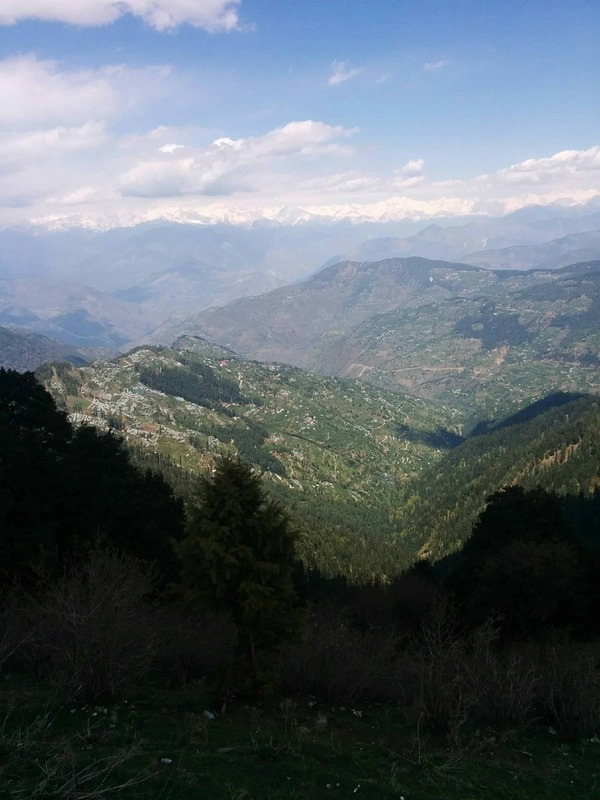 Thanedar is approximately a 3-hour drive from Shimla. As is standard with most Himalayan regions, an 80 km distance tends to take this long. Here, the road takes you along the crest of the mountains for the most part, gliding along many valleys and providing beautiful green vistas as your companion. Of course, the drive is beautiful thanks to the well paved and maintained roads. As a connector to all cities in Himachal Pradesh, you can get a taxi service from Shimla and utilize the cab here. Here, do note, Shimla to Thanedar should cost around INR 700- 1000 (as of 2018), depending on the vehicle. Of course, alternatively, most people prefer to drive their own vehicles. As is common in most hill stations, there are a lot of places that need to be discovered on foot. Thanedar is a wonderful long weekend destination. 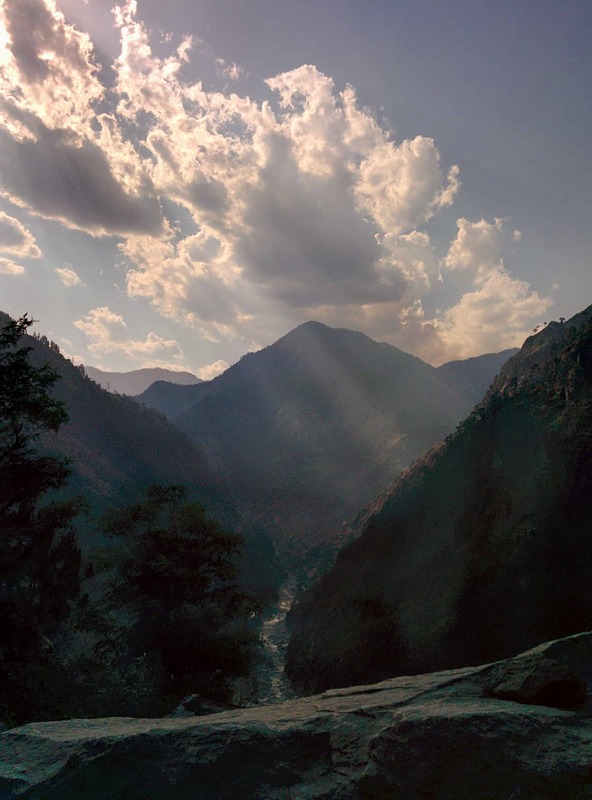 Also, it can be a pit-stop while connecting onward to the Kinnaur district. However, it stands tall on its own and one can spend an extended duration here, for those seeking seclusion. One can reach Shimla as the starting point, either by road, air or rail. As the capital of Himachal Pradesh, Shimla is always bustling with lots of energy. Of course, there is a tonne to day here and its always a pleasure to stroll the Mall Road and the Ridge. If you haven’t been to this side of the hills before, Shimla is a must to explore. The scenic 80 KM drive takes you from height to height, taking approximately 3 hours. However, with many beautiful little hill stations on way, it would be a crime to not stop and enjoy the beauty. For getting moving, one needs to move towards Sanjauli, keeping on NH-5. Slightly ahead, at reaching Mungar, you’ve entered the Shimla Reserve Forest Sanctuary. The greenery is lush, the trees are tall and magical and there is a freshness in the air that can’t be denied. At Mungar, there’s a route towards Mashobra and another towards Kufri. Here, you will be moving towards Kufri. Of course, Kufri is a massive tourist destination, thanks to the ideal Himalayan Experience. The beauty is exemplified due to presence of multiple activities. It is a favorite family vacation destination. 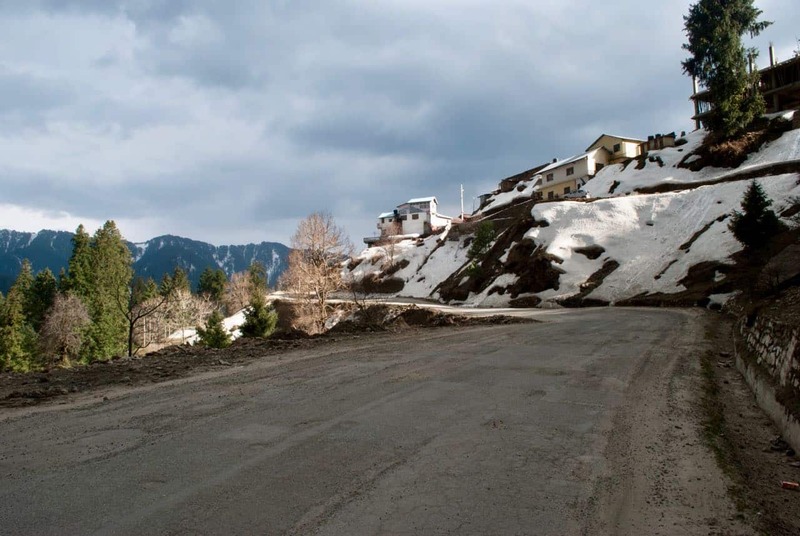 After spending some time in Kufri, ideally for snacks and refreshments, one moves forwards towards Fagu – a beautiful village on a saddle-esque mountain along the Hindustan Tibet Road. A part of the panoramic views from this hill top includes a splattering of tiny settlements across the hills. Personally, I have always been in awe of the Himachali folk and how they’ve turned hardships into a way of life. Up ahead on this straight (or as straight at it can be, given it’s the Himalayas) road, one reaches Theog. Here, I would warn you of some traffic and slow movement, as the town is nestled along the road for the most part, making it a difficult navigation point. From Theog, take the turn towards Narkanda. The distance of approximately 35 KM will take you an hour, and the views are magnificent. You’ll start spotting many apple orchards and temples along the way. Of course, you’re in Dev Bhoomi Himachal and temples are a part of life. Bowing in front of a deity doesn’t make you small is something I have heard umpteen times in my life. And it’s just a way of respect for the culture that I personally join my hands and bow my head every time I cross a temple in the Himalayas. Another 8 kms ahead is our destination of Thanedar. You’re in a lush green blanket of Deodar woods and spectacular vistas of surrounding higher ranges, when you visit in the summer seasons. And the same blanket has a coating of white if you’re a winter visitor. Of course, a pahadi will tell you this is the best time to be in the hills! As is a staple of life in the hills, this beautiful and picturesque town requires a slower pace to appreciate living. Take your own pace and enjoy the scenic views, with multiple activities around the area to be in awe. Now, there are a tonne of adventure activities, including skiing (winter months) and trekking (all year around friendly climbs) that one can take. Also, one can catch the Sutlej river flowing 6000 ft below on a clear sunny day. There is a lot to do, and the deeper you get into the hills, the more you want to explore. Possible places include Sarahan (85 kms) or Kinnaur district (Sangla, Chitkul, Kalpa etc),further ahead is Spiti. Of course, the one can always push back home after a charming stay in Thanedar. 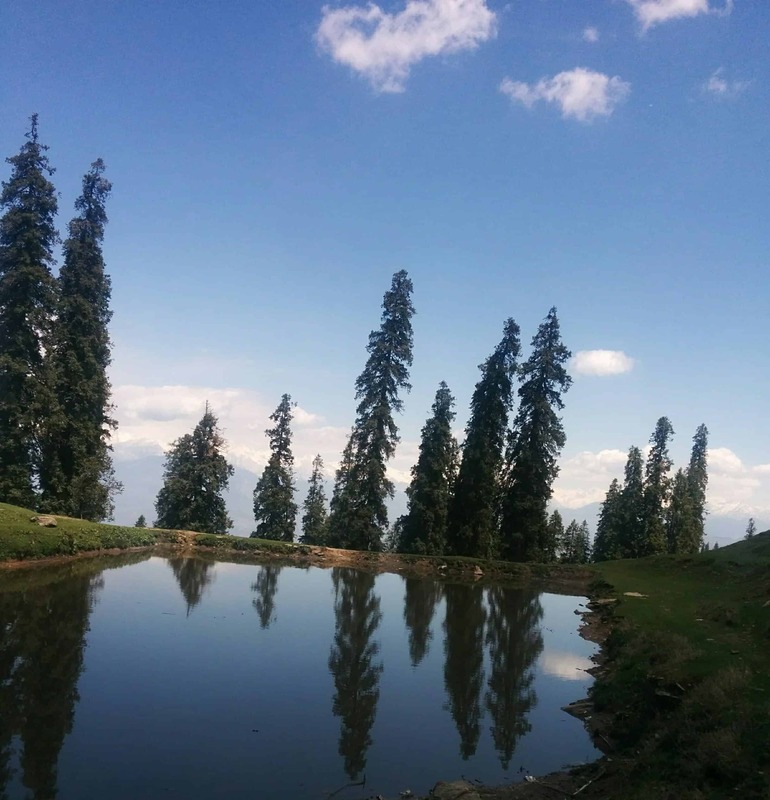 First is Tani Jubar Lake – a small but gorgeous lake. Here, one can visit the Nag Devta temple – however, entry into the temple isn’t allowed. An annual fair is conducted in the month of June. Here, local artisans and craftsmen bring about their creations. Of course, up next, is Barobag : Surrounded by pine trees that go up as far as the eyes can see and the spruce trees adding even more texture to the landscape. 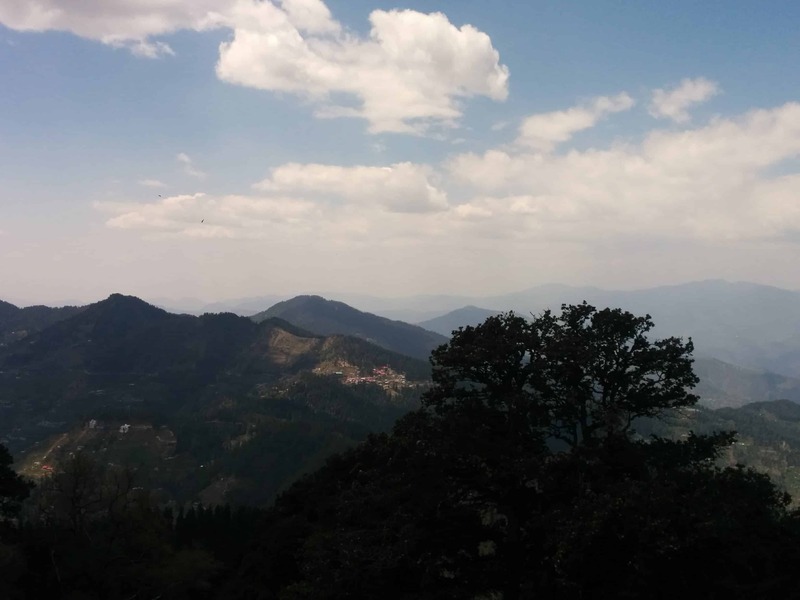 The highest point in Thanedar provides panoramic views that can engulf your imagination. Spotting the Sutlej river that will eventually its way into the plains of Punjab is a sight to see and behold. At the very top of the hill is the Harmony Hall – Samuel (Satyanand) Stokes stone house. A must visit and must-explore for everyone. Naturally, we have to mention Hatu Peak – This place is what dreams are made of. Now,there is a very tiny, very sharp, single lane, highly curvy, well paved road reaching the top of the mountain and the drive is enthralling. It will be one of the most memorable rides of your life, I can assure you. Here, you’ll have your heart in your mouth and the adrenaline will be pumping hard! A lot of tribal folks with their herds of animals can be found in the region. Another way to reach the top is through a trek. Taking about 3 hours, you’ll be awarded with views unlike any other. A top the Hatu peak is a small wooden temple of Ma Kaali. 360 degree views of the scenic Shivalik Hills can be enjoyed thoroughly. Of course, you can spend an entire day chilling at the top of the mountain – pack a picnic and entertainment is just surrounding you at all times! And Golf course, Narkanda gets an honorary mention. Actually, there is a tonne to explore in the nearby Narkanda, which is only 8 kms away. This is an ideal do-nothing-yet-live-fully spot. However, this is also far more tourist oriented and you’re bound to run into a lot of families. Last but not the least Stokes Farm – When in Thanedar, how can you not visit the Stokes Farm? An expansive stretch of land with multiple apple orchards, the fresh air is abundant. The best time to visit Stokes Farm is around May – when the apple trees are in full bloom and blossom, converting the farm in to an appealing white valley. Banjara Orchard Retreat is the best place to stay in Thanedar – the rooms are beautifully kept, the food is amazing and the views are incomparable. An eco-friendly hotel, nestled in nature’s best – it is sure to catch your fancy! If you’re in the mood, you can even get their log cabins for an exceptionally secluded, yet one-with-nature experience. This property has limited rooms, however, boasts of many walks and treks around. They even provide bonfires. However, a word of advice- there are no TVs in the rooms, encouraging you to connect with your bountiful surroundings. There are multiple other guesthouses and home stays that are also available in Thanedar and surrounding areas. Best places to eat are road-side dhabas around the national highway, or your resort where you crash. Himachali cuisine is aplenty. In terms of must have Himachali dishes – do try the Maani (tangy dish with raw mangoes and Bengal Gram) and Madra (curry made with Chickpeas and Yoghurt). When you’re looking for a way to connect with nature, enjoy the history and be at peace – Thanedar is the place to be. Providing many opportunities for treks, and the slower pace of life, this hamlet is not prone to the tourism hoopla. This place is so small and undiscovered, that it doesn’t even have a Wikipedia page! Thus, it allows you a nice break from the rigor and having the hills to yourself. 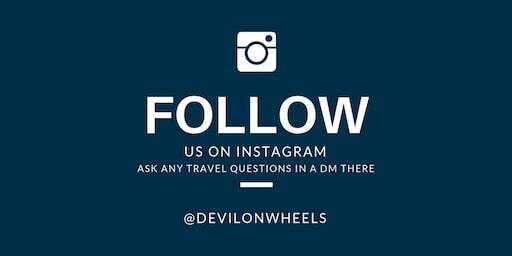 Please feel free to post any queries or doubts you might have in planning your trip. If you have been to Thanedar, I would love to hear your thoughts and any other information you might feel will be worth sharing with other fellow travellers and prove helpful to them as comments. "Trees doesn't grow on money either!" – this road sign made me so happy and appreciative of the travel community and the lovers of nature!